As she delves deeper into the mystery surrounding Emily’s death, she discovers shocking secrets and holes in her memory that force her to remember what she’s worked so hard to forget-the beatings, the blood, the special friends. Her life spins out of control at a terrifying speed as she desperately tries to unravel the psychological puzzle of her past before it’s too late. 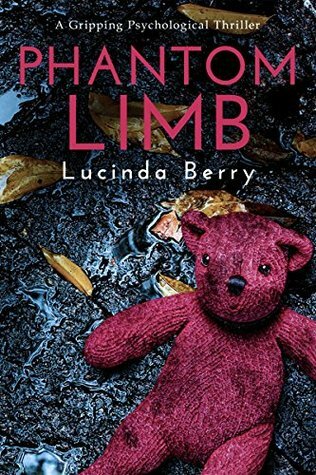 Phantom Limb is a character-driven mystery that begs to be read in a single setting. The shocking and shattering conclusion will make you go back and read it again. Ever read a book that keeps you up at night because not only was it an incredibly hard read but it made you think. Well, Phantom Limb is such a book and I was up for a couple of hours after I finished it, thinking about what I just read and mentally trying to form my thought into a review. When I say this book wasn’t easy to read, it wasn’t. There are very graphic scenes of neglect, physical abuse, sexual abuse, cutting, and suicide. I actually cringed during the scenes where Elizabeth was helping Emily clean up after cutting. And the scenes where Elizabeth was reliving the horrendous neglect/abuse that her mother and the special friends put the twins through, made me cry. Because, somewhere in the world, there is a child going through the same thing that the twins went through. Elizabeth was the healthier, mentally, of the twins. She was going to college, had a steady boyfriend and lived with her twin, Emily, in an apartment off campus. Emily, however, was a mess. She rarely left the apartment and was in a severe depression. Any attempt to get her out of the apartment was met with resistance, she refused to talk to their adoptive parents and she was sliding into a very deep depression. Elizabeth decided that she wanted Emily to meet her boyfriend, Thomas. Only thing….she hasn’t told Emily about him yet. When she did tell her, Emily was very excited and was making plans. Then Thomas tells Elizabeth that Emily showed up at his car and told him to leave Elizabeth alone. Furious, Elizabeth and Emily have a huge fight that results in Emily overdosing on pills and dying. Elizabeth finds her and, in hysterics, calls her adoptive parents for help. Then the world goes black. She wakes up a week later in the hospital and is later admitted into the psych ward. It is there that she realizes that there are huge holes in her memory about Emily and the keys to remembering what really happened to Emily is to look into the past. Into the severe neglect and abuse that Mother put them through and the sexual abuse that their 5-year-old selves endured at the hands of the special friends that Mother brought home. The friendship between Elizabeth and Rose, an anorexic, was sweet but there was a small part of me that wondered if she was going to transfer what her and Emily had onto Rose. Not going say if that happened. You need to read the book to find out. There is a plot twist that blew my mind and looking back, it made so much sense about certain things that were mentioned in the book. The end of the book actually made me very sad and I wish it didn’t end the way it did. But, not every book can have a happy ending and with the trauma that Elizabeth endured…..it made sense why that happened. Why: I will be honest, this isn’t a happy book. But the issues that it brings up: childhood abuse/neglect, mental illness, suicide, anorexia, and cutting are brought up in a way that I have rarely seen a few books do. The author doesn’t glamorize” mental illness (which, unfortunately, I have seen other books doing) and she also doesn’t offer a quick fix to Elizabeth’s issues (which, again, I have seen other books doing). Instead, this book is a very realistic book into the above-mentioned issues. Like I said above, not an easy read. Why: Child abuse/neglect, sexual abuse, cutting, suicide attempts, language.